Michael Booth and Noelani Sach have won a wild week 5 of the EuroTour in Spain (full results). In brief: Michael Booth has made it two from two in Europe, claiming today’s wet’n’wild ocean race in Costa Blanca ahead of Starboard teammate Bruno Hasulyo and comeback kid Tom Auber. With this weekend’s World SUP Festival acting as a 4-star event on both the EuroTour and Paddle League, the victory extends Boothy’s lead on The Paddle League World Rankings while sending him into equal first on the European ratings alongside Bruno. The big story came in the women’s race though, with this summer’s surprise packet Noelani Sach taking her maiden international victory ahead of the seasoned Laura Quetglas and ever-strong Susak Molinero. The win proves Noelani is one of the names to watch when the bumps were rolling, with today’s 17km course offering competitors a mixture of brutal upwind for the first 5km before a solid downwind stretch for the 12km home. 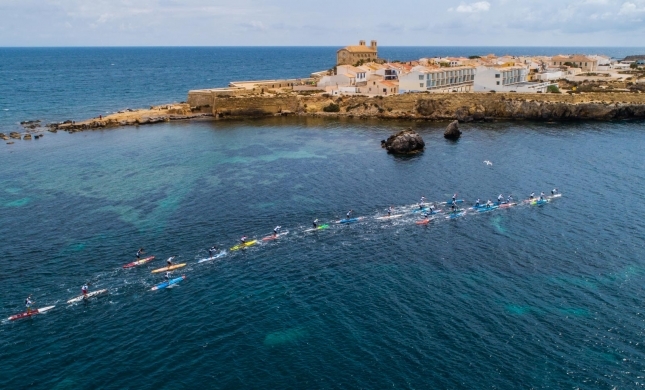 The race wasn’t without drama though: apart from the opening grind, there was an added 500 metres of upwind after the lead boat mistakenly sent paddlers to a distant final turning buoy. It changed nothing on the results sheet, but definitely added a exclamation point to what was a rollercoaster ride. Big thanks to the Costa Blanca crew for pulling off a big event despite mother nature’s best efforts to derail the show. Over 200 paddlers hit the water across the weekend in what was the biggest event of the summer so far. Full recap and video incoming; in the meantime here are the full results.